← Thinking of Mike Holey, an Aviator and a friend. Do you fly on airliners with confidence? Do you feel US defense aircraft are capable of protecting our national interests? Are you comfortable with the quality of experimental aviation information? 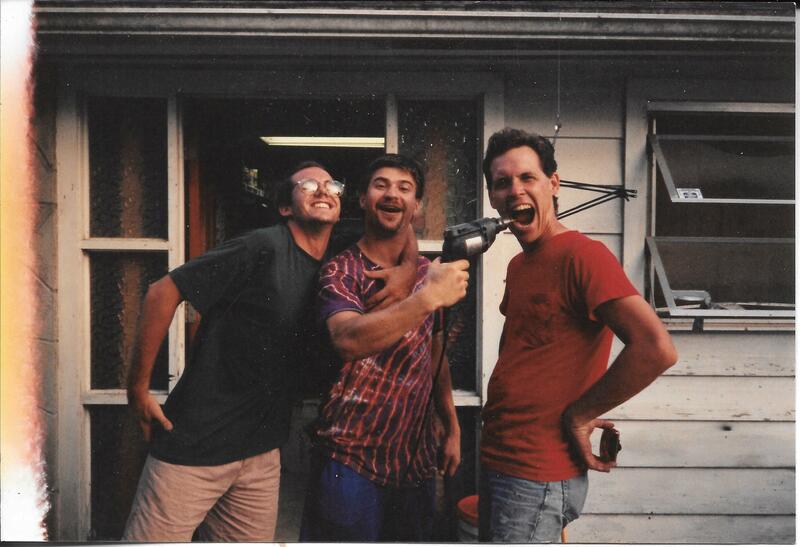 If you answered yes to all three, look at the 23 year old photo below, and consider that the youthful clowns pictured are ‘pillars of industry’ today. Would you like to re-think your answers? Above, 1992, conducting experiments in affordable dentistry, Embry-Riddle students, Chris Welsh, Kurt Fabregas, and your humble narrator. We had all gone through Riddle’s A&P program in the same class, and went on to degrees in Maintenance Management, Aerospace Engineering and Professional Aeronautics. The photo suggests otherwise, but we actually took the work very seriously. OK, maybe not pillars, but certainly trusted professionals. Today, Chris works for Northup-Grumman, on the E2-D Hawkeye program. Kurt works for Boeing, and has spent the last few years on the 787 Dreamliner production, and I teach people how to put “Ralph Nader motors in John Denver airplanes.” A person looking at the photo 23 years ago probably could have strong doubts about these people being valuable parts of US aviation, but we didn’t. Our training was second to none, we took the work very seriously, and we had an optimism about getting into a field that we felt was more of a calling than a career. This photo was in the same box in my closet that held yesterdays photo of Mike Holey and myself. I don’t often look at the pictures in the box, but when I do I am struck by the fact that almost all of the youthful faces went on to important work in aviation. I share this one to balance the somber tone of yesterday’s story. If I have ever said anything to you that momentarily created the impression I was smart or hardworking, let me correct your mistaken understanding. If you want to know about smart, I would tell you about Andy Mel, who had a near perfect record getting a Ph.D. in Physics and works for the Naval Weapons Laboratory; To know about hard work, I would tell you about Jennifer K’s path to becoming a mission controller at Star City in Russia, for the International Space Station. They were both close friends and housemates of mine. The University produced countless success stories like theirs. In the larger picture, I am one of the few people in the box of photos that works in light aviation. Almost everyone else carved out a career in more rigorous sections of aviation. I followed my heart, and I take my working class airman status with a measure of pride, but looking at the old pictures and thinking about what these people accomplished in the last quarter century, I am in no danger of taking myself too seriously. A story about Chris getting a glider rating: Glider flying – a funny story. Ah yes the time we drilled out that cavity of yours in front of the shop.